Kerala Nurses in Iraq are under attack in a bomb blast while few got injured according to the initial reports. Among the 46 Indian nurses trapped in Iraq's Tikrit town overrun by ISIS militants, most of them are from Kerala. As the nurses boarded a bus which proceeded to Mosul, a bomb blast took place outside the hospital with 3-4 nurses got injured. It is also know that as the nurses were taken out, the Militants of the Islamic State in Iraq and Syria (ISIS) blew up the Tikrit teaching hospital. 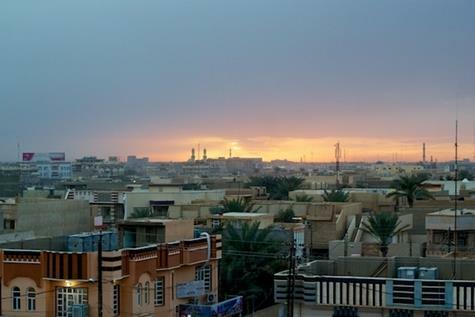 In a latest development from Iraq, at least 3-4 nurses including malayalis were injured after ISIS militants blew up the Tikrit teaching hospital in Iraq's Tikrit city. As the nurses boarded a bus which proceeded to Mosul, a bomb blast took place outside the hospital. Even though, the relatives of the nurses in Kerala tried to contact them, the phones remained switched off. According to media reports, the nurses are on the way to Mosul, a town which is purely under the control of the Militants of the Islamic State in Iraq and Syria (ISIS). Even though the nurses were asked to leave the hospital in the two buses Wednesday, they purely denied it. The decision to board the bus was taken after the nurses made a talk with the Indian embassy. Things went worse later in the afternoon with a group of people forcing them to enter the bus. It is also not known whether the hospital was bombarded by the ISSI militants or the army. It is suspected that the militants could use the Indian nurses as human shield. Meantime, Kerala chief minister Oommen Chandy met external affairs minister Sushma Swaraj in Delhi and discussed the situation in Tikrit. He also confirmed that there had been a blast outside the bus but having no clues about the injury. In a press meet held in the evening, Mr. Chandy said that the government is in touch with the Indian embassy and asked to take all adequate measures to ensure the safety of the nurses. It is also known that 1500 Indians have registered to leave Iraq while 900 Indians have been provided tickets to come back home. Some male nurses who contacted their family members in Kerala informed them that they were being moved along with five Bangladeshi nurses. From the words of the Ministry of External Affairs (MEA) spokesman, there are partners across Iraq and we are working in coordination with them.